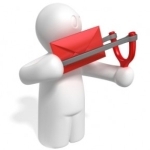 Our “Connect Blog” uses a service called Feedburner to automatically send any new blog postings in an email message each evening (just after 7pm). Some people are already using it. For others, it is an easy way to find out about upcoming events and, more specifically, the Nicaragua Team daily updates. Once set up, the postings come to your mailbox without you lifting a finger. This will send you a confirmation email message. Click the link in the confirmation email message, and you’re all set-up! Wahoo!!!! So cool!!! Yea, so others can hear about what we’re doing on the trip, that’s so cool! I love getting the FeedBurner updates and am REALLY looking forward to having any posts from the missions team appear right in my inbox. Thanks for your work on this Doug!